Reel Sisters of the Diaspora Film Festival and Lecture Series, founded by African Voices magazine and Long Island University (LIU), Brooklyn Campus, is the first Brooklyn-based festival devoted to supporting films produced, directed and written by women of color. Since 1997, the festival has been enriching the city with over 500 films by women of African, Caribbean, Latino, Asian, Indian and Native American descent. Reel Sisters attracts more than 800 film lovers from across the nation and globe including California, Chicago, Florida to as far away as Britain. The festival screens 25 films each year. 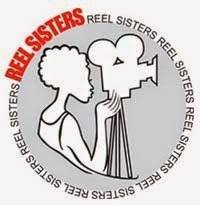 Reel Sisters also provides scholarships to emerging women filmmakers and offers other resources for women filmmakers. The festival not only showcases films, but hosts panels and workshops as well. Reel Sisters will be held from 25-26 October 2014 at LIU (Brooklyn, New York, USA). Text: Reel Sisters of the Diaspora Film Festival press page.